Sometimes it seems extremely hard to get those first 100 visitors to your articles and it can be frustrating when this happens; especially when you are new to the world of Internet Marketing and you just don’t know what you are doing wrong. Well I’m here to help you with these ’10 Ways To Bring Visitors To Your Articles’ admittedly this is not going to be a masterclass which draws on and on; this is all about helping you to get to your first 100 visitors as quickly and easily as possible without a ton of jargon. So here you go guys I hope this truly helps some of you out. If you enjoy this post, you should also check David’s other posts such as 10 WordPress Plugins for Bloggers! Yahoo! 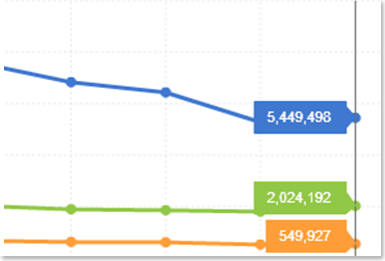 might be losing the search engine market share battle but they still dominate in the Question and Answers arena. People ask thousands of questions every day in almost every niche and industry you can imagine. A quick search for “Search Engine Optimization” shows over 1,300 questions that can be answered. The key to driving massive amounts of traffic from Yahoo! Answers is to give genuinely helpful answers. Instead of trying to create a blatant advertisement for your website work on becoming an authority in your industry. This technique has the potential to send you far more than 100 visitors. 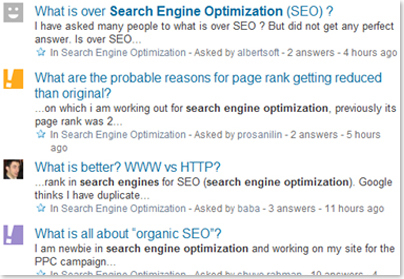 When people use search engines to look for the questions you answered often times a Yahoo! Answers result will appear near the top of the search results. This will give you and your website a ton of exposure if you answer commonly asked questions! If you create content that people enjoy it can easily become popular or even go viral. The important thing is to put your website and content in front of people that are looking for it, right? 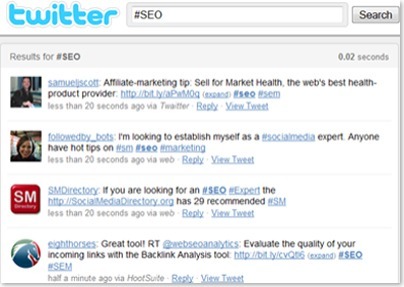 Social bookmarking is a super easy way to do just that. Social bookmarking sites allow users to bookmark their favorite websites that other people can publicly view and vote up or down. If you bookmark useful content other people will find it, share it, and vote it up so others can enjoy it. Oh yeah, and it only takes about 30 seconds to bookmark your site. The 3 most popular social bookmarking sites are Digg, Reddit, and Delicious. These 3 sites get over 8 MILLION unique visitors a month – funneling off a chunk of that traffic to your website is very doable. (There’s plenty to go around ) Just remember to create content that people will enjoy and/or find useful. The most popular content on social bookmarking sites are usually check lists, “Top 10” lists, tools & resources, and breaking news – so keep that in mind! When people use search engines and search for keywords related to your lense it will sometimes show up in the top search results if it’s relevant enough to the search phrase. This means you can get drones of targeted traffic to your lense from search engines that you can funnel into your website. Guest blogging is a great way to generate free traffic – all you have to invest is the time to write an article. Get in touch with the most popular blogs in your industry and ask if they’ll let you write a guest post. Most website owners will have no objections to having other people write free content for them. (ask Michael how I know…wink, wink) If you’re having trouble finding blogs to guest post on check out www.myblogguest.com – they have a full community of bloggers that are ready and waiting for your content. There are community forums setup online for virtually every niche, industry, or topic you can imagine. The internet is a prime place for like minded people to talk to each other. 9 times out of 10 you can find a forum for your industry just by typing in [your industry]forum.com or searching for “[Your Industry] Forum” on Google. Find the forums in your industry with the largest user base, start posting there and become an active community member. Most forums will allow you to leave a link to your website in your post signature, so the more you post the more traffic you get. Every time I write new content I post it to twitter. If you use the right keywords and make your tweet interesting enough you can get a lot of clickthroughs just from people searching. For example if I write an article about SEO and Google I can tag the end of the tweet with #SEO #Google and anyone that searches for those keywords on Twitter can see my tweet about the post that I wrote. Be sure to write creative headlines for your posts so people feel the urge to click on them. Creating a Facebook fan page takes about an entire 45 seconds and is a almost a necessity at this point for every business owner. Considering that 1 in 13 people on EARTH have a Facebook account there’s really no need to explain why you should be there. Pro tip: make sure you create a fan page and not a group. Groups messages don’t show up in news feeds making it hard to get in touch with members. Making a fan page will give you a lot more exposure to not only the current members but members friends as well. Commenting on blog posts written by industry experts with lots of followers can bring your website a lot of traffic. When you post a comment (most) blogs allow you to leave a link back to your site for other readers to check out – as long as you leave an insightful comment you WILL get traffic from your blog comments. Make sure you comment as quickly as possible when new blog posts go up. The higher in the comments you are the more clicks you’ll get. I have Google Reader setup to alert me when new blog posts are made on the industry blogs I follow and I comment immediately to lock in my first place spot. Promoting your websites by publishing articles to various article directories is by no means a new idea but still an extremely effective way to drive traffic. 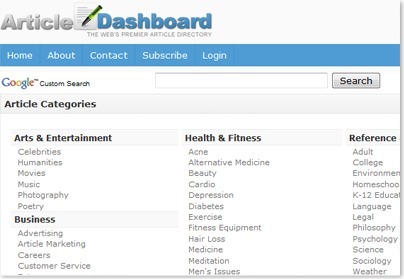 If you write content and publish it to websites like Ezine Articles, Article Base, and Article Dashboardwebsite owners will pick it up and post it. This idea is similar to guest blogging except that you only have to write one piece of content that can end up on hundreds of even thousands of blogs and websites. The same rule applies here: don’t be boring – be creative and interesting and use common keywords in your article and title so website owners can find it! The idea of “link bait” refers to creating content that is so extremely useful or entertaining it compels people to link to it. Put yourself in the shoes of your target demographic and figure out what they would enjoy or what would help them the most. Is there a tool you can make to automate some tedious process? Can you find enough data to make an interesting infographic? Is there a checklist or cheat sheet that would prove handy to your audience? The possibilities are nearly endless – survey your visitors and see what is missing or lacking in your industry and fill in the gaps.